Adobe Authorware (previously Macromedia Authorware) was an interpreted, flowchart-based, graphical programming language. Authorware is used for creating interactive programs that can integrate a range of multimedia content, particularly electronic educational technology ( also called e-learning) applications. The flowchart model differentiates Authorware from other authoring tools, such as Adobe Flash and Adobe Director, which rely on a visual stage, time-line and script structure. Authorware was originally produced by Authorware Inc., founded in 1987 by Dr Michael Allen. Allen had contributed to the development of the PLATO computer-assisted instruction system during the 1970s that was developed jointly by the University of Illinois and Control Data Corporation. CDC, where Allen was Director of Advanced Instructional Systems R&D, invested heavily in the development of an expansive library of interactive "courseware" to run on the PLATO system. PLATO courseware was developed in a unique programming language called TUTOR, which provided structures unique to learning interactions, such as answer judging and branching. TUTOR programmers were able to build powerful scripted systems that included simulations and games. However, despite the intent to create a special-purpose programming language usable by educators, and the decades of work that went into it, the TUTOR language was not easy to learn. Authorware started as a system aimed at addressing the problems in TUTOR. Originally titled Course of Action (CoA), it was a Macintosh-only program, but produced runtime programs for both the Mac and DOS. Authorware came later and produced DOS runtime versions until the release of the first Microsoft Windows version. Authorware used a visual interface with icons, representing essential components of the interactive learning experience. "Authors" placed icons along a “flowline” to create a sequence of events. Icons represented such components as Display—put something on the screen, Question—ask the learner for a response, Calc—perform a calculation, read data, and/or store data, and Animate—move something around on the screen. By simply placing the icons in sequence and adjusting their properties, authors could instantly see the structure of program they were creating and, most importantly, run it to see what learners would see. On-screen changes were easy to make, even while the program was running. It was generally known in the Authorware development community that version 8.0 was in production prior to the merger between the two companies, with 4 beta versions released to external testing shortly before the merger was completed. Among several other features intended for the new version, the ability to publish to Flash's SWF (ShockWave Flash) was at the top of the list. 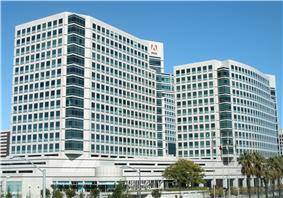 Once production shifted to Adobe's off-shore development facility in Bangalore, India, the free-flow of information that had been enjoyed between Macromedia's engineering team and its beta testers was curtailed. 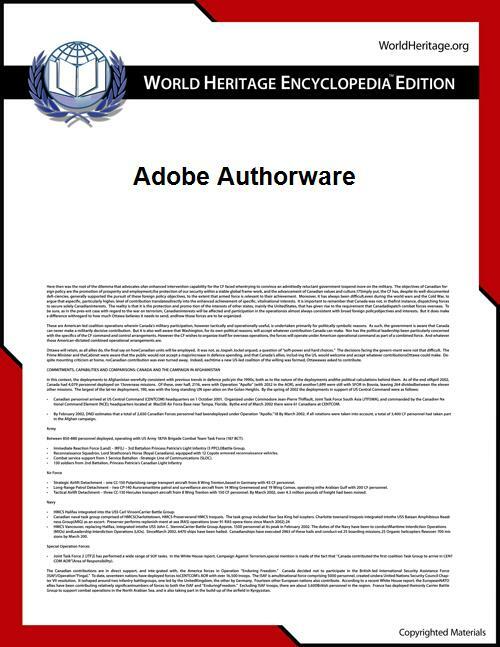 On Friday, August 3, 2007, after several years of keeping the development community in limbo, Adobe finally announced its plans to discontinue development of Authorware. The original strength in education of Authorware could be linked to its roots in pedagogical models based on constructivist views. Over time, Authorware has lost its specificity. More power was gained as more scripting added graphical design, interaction and integration features, but Authorware's special interaction-centred, clean, simple design was lost along the way. However, there are still many Fortune 500 companies that use Authorware as their main platform. Authorware programs can be distributed as stand-alone executable files, or over the web which requires a proprietary Authorware Web Player. Authorware is particularly well suited to creating electronic educational technology (also called e-learning) content, as it includes highly customizable templates for CBT and WBT, including student assessment tools. Working with these templates, businesses and schools can rapidly assemble multimedia training materials without needing to hire a full-fledged programmer. Intuitively-named dialog boxes take care of input and output. The flow chart model makes the re-use of lesson elements extremely straightforward. Being both AICC- and SCORM-compliant, Authorware can be used to deliver content via any AICC or SCORM Learning Management System.